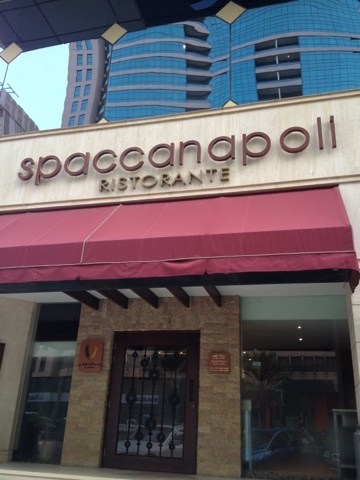 While browsing through some blogs, I came across some reviews about Spaccanapoli, an Italian restaurant in Crowne Plaza, Hamdan, Abu Dhabi. What really caught my attention was its promo - 50% off your bill before 7PM - including booze. So last Eid, we decided to pay this resto a visit. 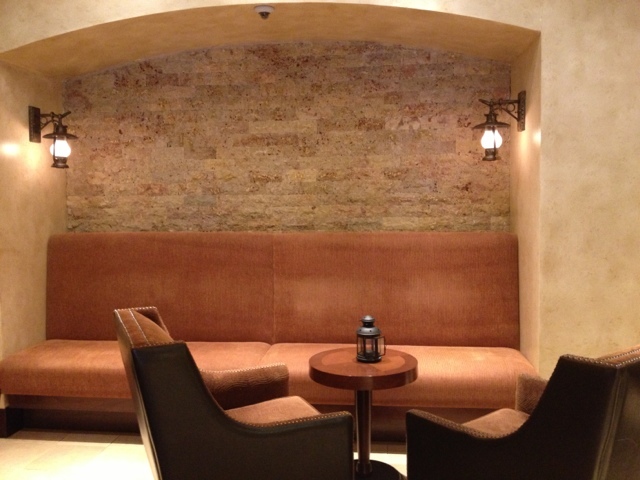 The restaurant's facade is simple yet elegant, romantic and cozy. However when we went inside there was no one there to greet or welcome us. We did not know if we should stay at the ground floor to be seated or go upstairs to the first floor. 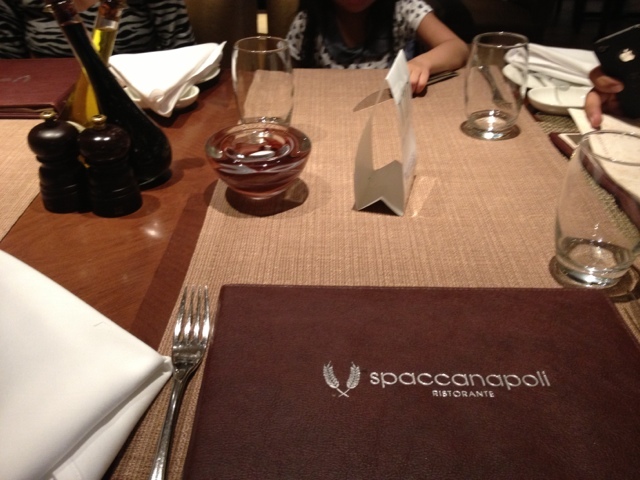 Anyhoo, we just went upstairs and the attendant was there who welcomed us and led us to our table. Their service was good. However, I found it hard to understand our attendant as she had this strong accent and we asked her to repeat whatever she was saying a couple of times (my bad!). 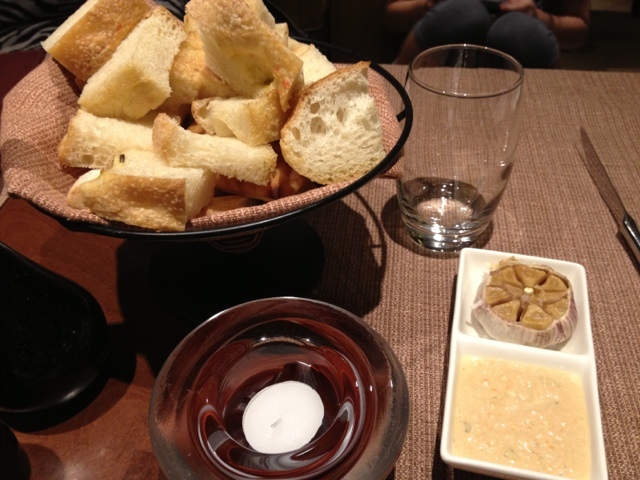 As soon as we were seated, they gave us this complimentary yummy bread basket and spread, which we almost finished! 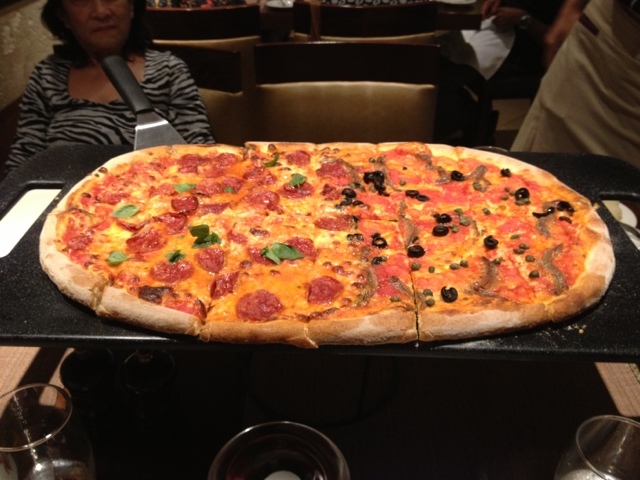 We ordered this half-meter pizza, as we were only a group of three adults and two kids. They offer 1/2, 3/4 and 1 meter pizza. For half meter, you have to order two pizza flavors. 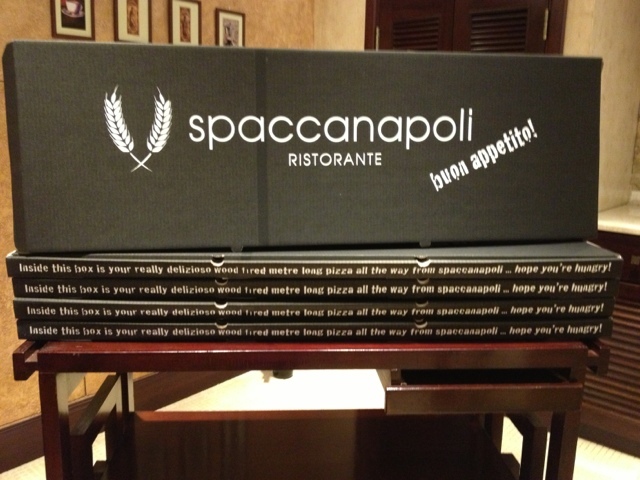 In our case we ordered Americana (AED 85) and Marinara (AED 45). So the cost of our pizza was approximately AED 130, of course this was before discount. For 3/4 meter pizza, three flavors had to be ordered and for 1 meter - four. The Americana pizza for me was okay, but the Marinara pizza was a NO-NO for me. This was the first time that we tried pizza with anchovies and I will never, ever comit the same mistake again! It tasted like pizza with fish sauce (if you know what I mean). 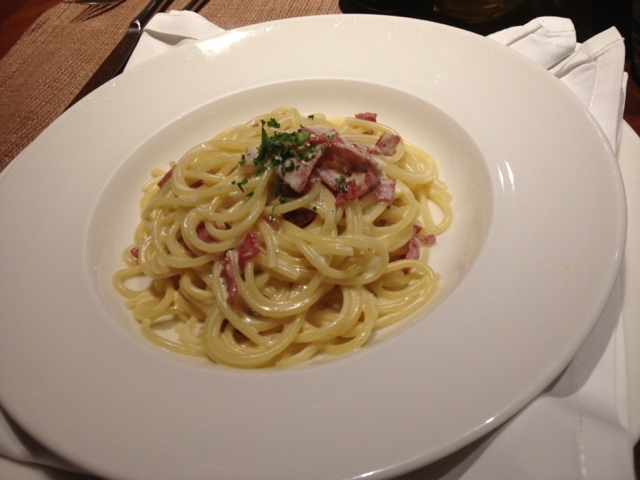 The spaghetti carbonara was excellent. For pastas, you will have two choices - lunch and full portion. Please note that the 50% discount is not applicable for the lunch portion. The carbonara, if I may say, was excellent. The pasta was el dente (spell check please). It wasn't too greasy and saucy! It was just perfect. They also asked us if we wanted extra cheese for free and gave us chili sauce if we wanted an extra kick to the pasta. 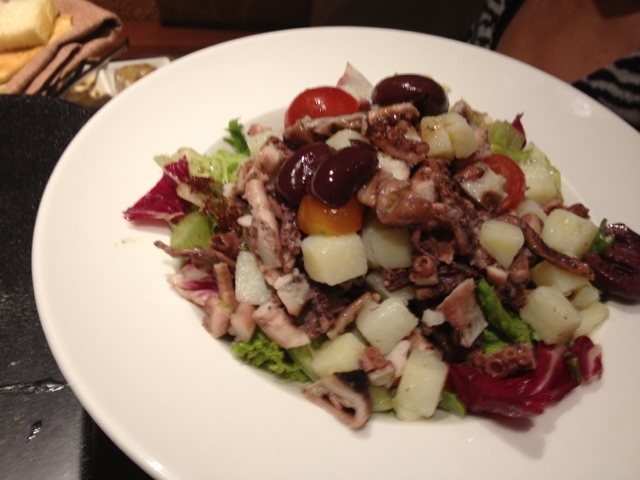 The squid salad was okay. Veggies were fresh but the salad on the whole lacked flavor. Our total bill was supposed to be AED 320, but we only paid AED 160 inclusive of taxes. I would say that it was a bit pricy, as there was nothing really special about the food. Of course the restaurant is in a hotel that is why it is quite expensive, but at least the quality of the food should go along with the price.